Our conference pastors’ have communicated that all is well with their members and church buildings -- Hurricane Irma had a minimal impact on us. We certainly pray for all the people who were affected throughout Florida. Recalling back, before Irma hit, we sat in numbness as the scenes were unveiled and we saw the flooding in Texas, that we hadn’t seen since Katrina. In Oregon, my daughter sent me pictures of the forest fires, showing how close they were to her. One day she drove through smoke that looked like fog. Her back porch was full of ash. One of my friends noted that half our country was drowning and the other half was on fire. No question, weather is producing catastrophes that are eye opening to us who watch and wait. The television news continually reported “mandatory evacuations;” and it called to my mind scripture warnings. Mandatory evacuation is ordered in Scripture as well: Revelation 18:4; “Come out of her my people.” Let’s raise the banner of Christ and give people, in our community, the best church they can come to as they leave theirs. I know when I left the big catholic church of my childhood, and joined a small Adventist Church, I found doctrinal purity, but I also found a committed group who were friendly, kind and accepting of all people. I think sometimes we underestimate the value of kindness and love in the local church. We are too quick to take one another for granted instead of celebrating each other. Recently, I preached in my home church in Escanaba, Michigan. The very church where Teresa and I were baptized years ago. Many of the folks, who influenced us and loved us, are now gone. A sadness flooded over me as I thought about the last time I had communicated how much they meant to both of us. Once again, I am committed not to take those who are close to me for granted. I had a tremendous time with prayer warriors at the annual Prayer Conference. I invite all of you to join them next year. What a blessing that conference is to GSC! In the last few weeks, I’ve had the privilege of presenting several new pastors. As I’ve shared before, I believe one of the most important segments of my work is to help bring high potential new young pastors to our field, and yet not neglect the value of seasoned successful pastors. God has guided us in this endeavor and we are so blessed to have the group of pastors we have. I’m praying for revival among our churches. The other morning I was praying and reading and all of a sudden my mind went to what a true revival would look like. I think sometimes we know what it won’t, or shouldn’t look like, more than what a genuine revival would encompass. Some thoughts I had; a genuine revival will always begin personally. Martin Luther said; “I am more afraid of my own heart than of the pope and all his cardinals, I have within me the great Pope, Self.” If you want truth, look in the mirror or your weight scale, neither one of them lie. We will see a humbling of our people at the family altar or in the closet, a confession of sin and true repentance. Our families will be strengthened and closeness between husbands and wives will be developed like never before. Selflessness will be evident in all of us. Boldness will be prominent and we will risk our reputations, even our lives, to share the Gospel. We will show love where others show hate. We will be found silent when others are loud with criticism. We will rise above all the noise to accomplish the work God has assigned this church movement. I believe a real revival is coming as sure as Jesus is coming back. I understand that our Lord will use men to lead us through His Spirit to a genuine revival. Now what that will look like, I can’t tell at this time, but I yearn for it in what ever fashion the Lord chooses to use. For this to happen it is imperative that we begin to trust one another more. Recognizing we will never agree on every point nor should that be a goal. Our differences make us stronger. But nothing should ever divide us to the point that we are hesitant in our work or lead us to give up on the power of the Gospel. Jesus has made us better than that! World Church logo. 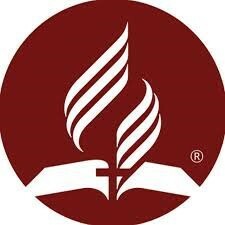 The Administration recommended to our Executive Committee that the recognition of the world church logo is something that people connect to in Seventh-day Adventism. It will be a slow process as we will use up all of our tithe envelopes, stationary, business cards, etc. but eventually you will see the Seventh-day Adventist World Church logo everywhere. 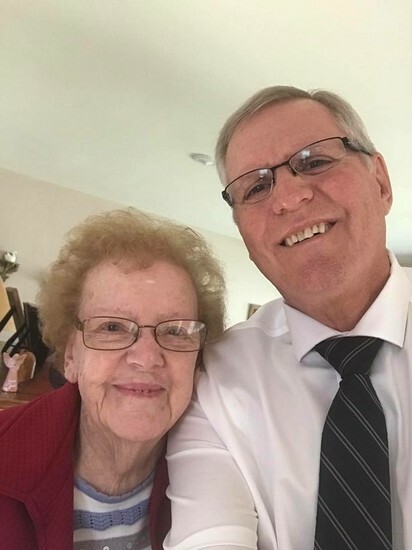 I had a wonderful visit with my 91-year-old Mom. Her health seemed to improve each day I was there. We sat around and visited about our relationship, our family and many things that I specifically went through as a young person. I enjoyed her perspective on my upbringing. (She thinks I was, and maybe still am, an angel). We had precious conversations that imprinted in my memory things that I will never forget. How does the Bible put it? It’s a pleasure to honor my Mom.